After being shot in the line of the duty, one of Elk Grove Police Department's K9 officers was sent into retirement with a ceremony at Elk Grove city hall. On Friday, July 27, EGPD's Blu was honored with a ceremony honoring his retirement from active service. Blu was honored by Chief Bryan Noblett with a presentation of a Purple Heart. 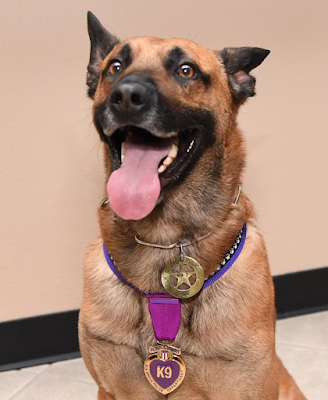 Blue was twice shot in the line of duty in January 2017 by armed robbers. After the shooting, Blue was treated for his injuries by the veterinary staff at VCA Bradshaw. After recovering from his injuries, Blu now enjoys a retired life with his handler, Officer Miller, and his family. The two suspects involved in the shooting were apprehended. 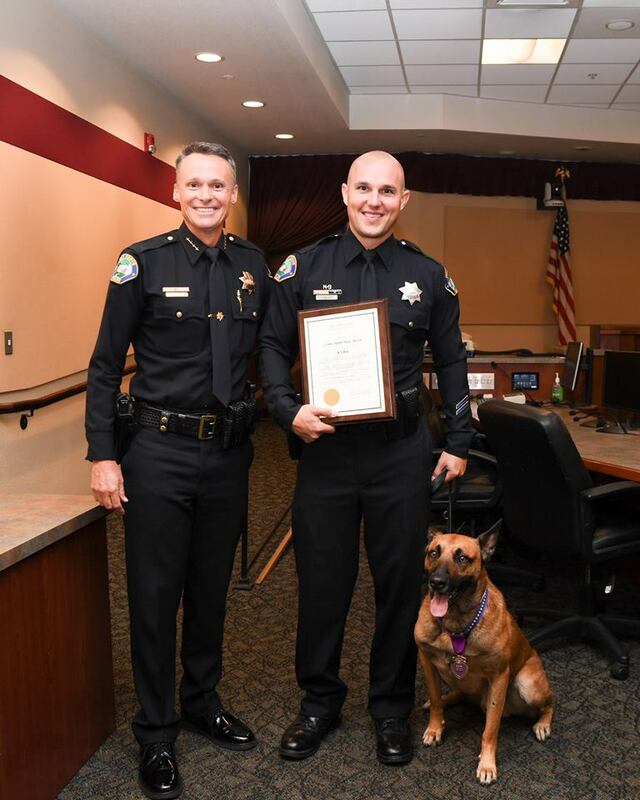 EGPD Chief Bryan Noblett (left) Officer Miller and Blu.